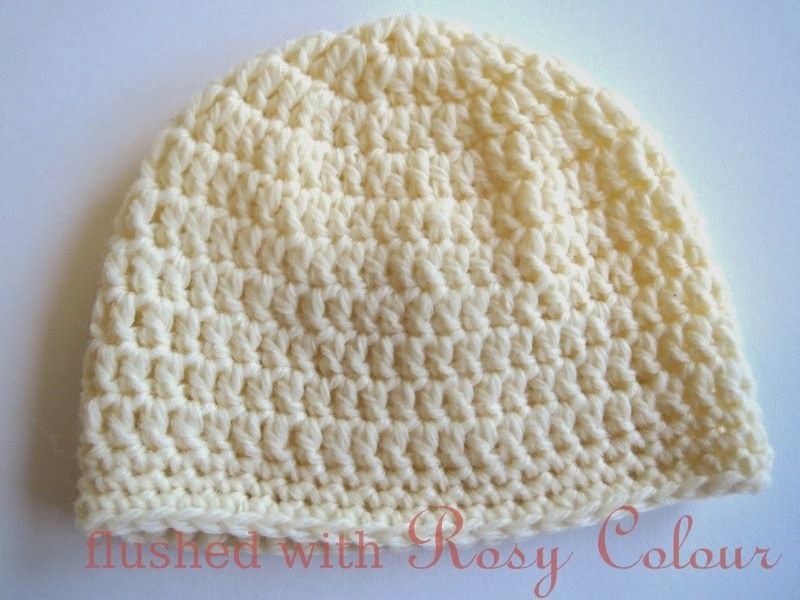 This hat was inspired by the tiny yellow premmie hat my son wore when he was first born 9 weeks early. Its 11 cm wide at the brim, and 9 cm high. My son's hat was knitted, but I don't knit so I made up my own crochet pattern. There are 4 increasing rounds, and 6 non-increaisng rounds, and 3 rounds for the brim. I used some lovely soft 4 ply baby yarn my mum gave me, and a 3mm hook.